She persists! The next step! ID Politics meets high comedy. As the Trump train continues steadily down the track and real economic/social progress is made, the obstacles posed by the desperate Left become clearer. The sinister strategy of Identity Politics, divide-and-conquer put forth on steroids by the Obama regime (blessedly derailed by Election, 2016), is showing its limitations. 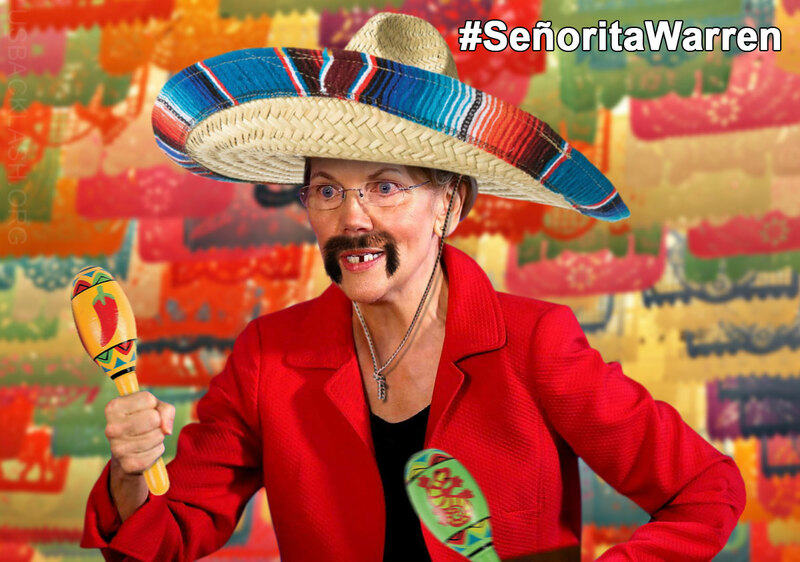 Most satisfying has been Fake Indian Liz Warren’s failed “gotcha” DNA gambit, exposing the inherent Big Lie at the heart of Identity Politics, the mainstay of today’s Democratic Party. Her usual defenders like the NY Times have gone into full-blown CYA mode. Take away the divisiveness of ID Politics, and, really: what have the Obamatons and the I’m-With-Her robots got? Left with millions of free-thinking INDIVIDUALS looking to government only to guard basic rights and stay out of their way, not own them, the answer is precisely…nothing. One Response to Minus Identity Politics and their war on the Individual, what has the Left got?